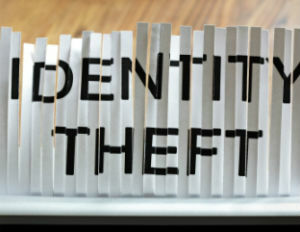 December is National Identity Theft Prevention and Awareness Month. And not surprisingly, identity theft is the top consumer fraud in the United States, according to the Federal Trade Commission. U.S. consumers reported losing more than $1.6 billion to fraud last year, and out of the remaining categories of complaints, identity theft nabbed the No. 1 spot. Experian notes that around the holidays identity thieves will often target seasonal job applicants looking for work through online job scams. The scammer will pretend to be a representative from a legitimate company and then post bogus job listings. Sometimes they will even create a fake website in order to collect personal financial information from the applicants. Lock your financial documents and records in a safe place. This is even necessary at home. If you’re planning to have visitors for the holidays, let’s say for a holiday party, you can’t be certain that one of the guests won’t be tempted to look through your important documents. Even trusted family members can be identity thieves. And even though your workplace may feel safe and comfortable, it’s important not to have a false sense of security. Protect your personal items at work by locking your wallet or purse in a safe place, out of view. Carry a limited number of items. Make sure to only carry the identification, credit, and debit cards you need. Never carry your Social Security card unless it is absolutely necessary. If you lose your card, you’ll have a big headache on your hands, and you’ll just make it too easy for a thief to access your information. Don’t share your information unnecessarily. Before you share information at your workplace, a business, your child’s school, or a doctor’s office, ask why they need it, how they will keep it safe, and the consequences of not sharing. For example, most doctor’s offices will ask for your Social Security number, but this is not always necessary since patients are generally identified by their healthcare plan ID number.